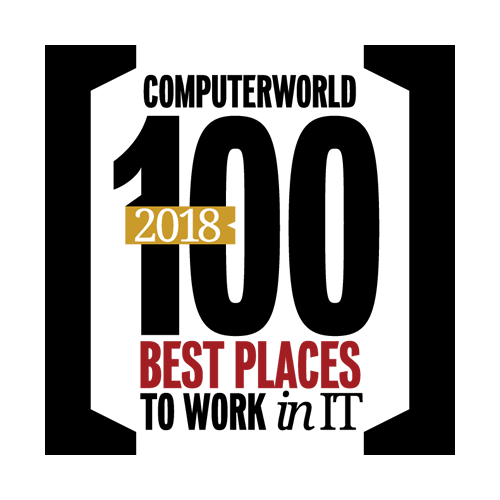 MILWAUKEE, June 18, 2018 – IDG’s Computerworld has named Baird a 2018 Best Place to Work in IT, one of 100 top organizations that challenge their IT staff while providing great benefits and compensation. Organizations are included in Computerworld along with results from the 24th annual Best Places to Work in IT survey. Baird ranks No. 15 among midsize organizations on the Best Places to Work in IT list. Baird, an employee-owned financial firm, has also been recognized as one of Fortune’s 100 Best Companies to Work For the past 15 years, ranking in the top 25 for 10 straight years. Within Baird IT, associates benefit from a one-team approach with collaboration across all areas of IT and a close working partnership with Baird’s business groups. This environment enables associates to provide complex IT solutions that best meet the needs of Baird clients and associates. It also leads to a supportive, fun environment that encourages associates to be themselves. The IT Culture Committee and individual teams host events to build esprit de corps. There is also an annual summer solution-a-thon to foster innovative thinking.